Kinston Automotive is located at 1001 W. Vernon Ave and recently celebrated with a Ribbon Cutting. 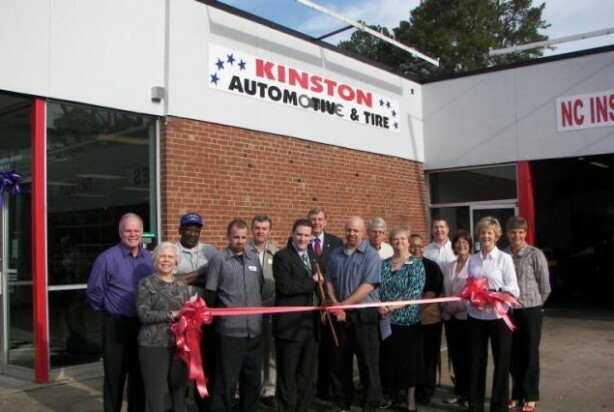 Â Mayor BJ Murphy cut the ribbon with many in attendance from the business community.Â With 20 years of experience, Kinston Automotive and Tire can help you with: Oil Changes, Tires (New & Used), all major brands, Brakes, N.C. Inspection, A/C & Heating Services, Tune Ups, Timing Belts, Trans. Service and All Major & Minor Engine Repair. Â They are open Monday thru Friday 7:00am – 6:00pm Saturday 7 a.m. to 4 p.m.